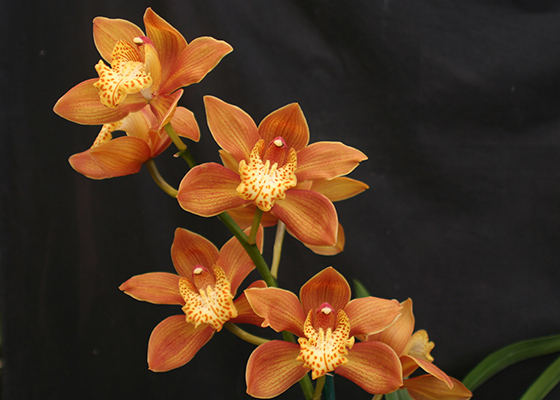 Select varieties from a cross of two of our favorite Cymbidiums, Red Cross and tracyanum. These have ranged in color between bronze and burnt orange, and in patterns between solid and striped.Cool growing. December blooming.